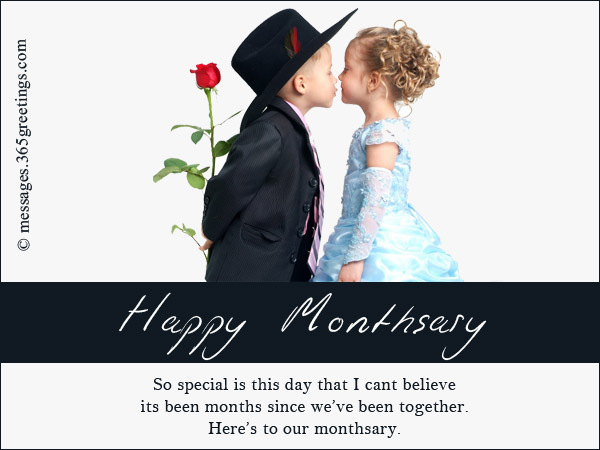 So, it’s your monthsary and you want to make it special for your girlfriend! 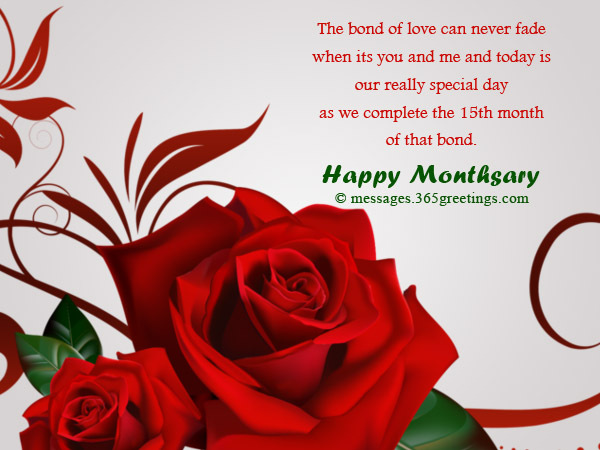 Not to worry, we have got some especially composed monthsary messages for your girlfriend. 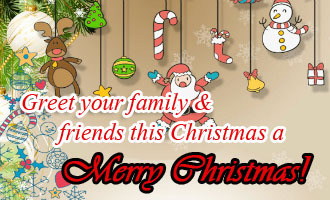 These messages will surely make her feel loved and happy on this special day of your. always even when I’m not being so loving. and give me chance to love you more day by day. to make you feel really special this day. and how much your love has made me better and better. I love you sweet pie. how awesome it is to have you in my life. that’s always been the sparkle of our love. Happy monthsary and God bless us. as we complete the 15th month of that bond. 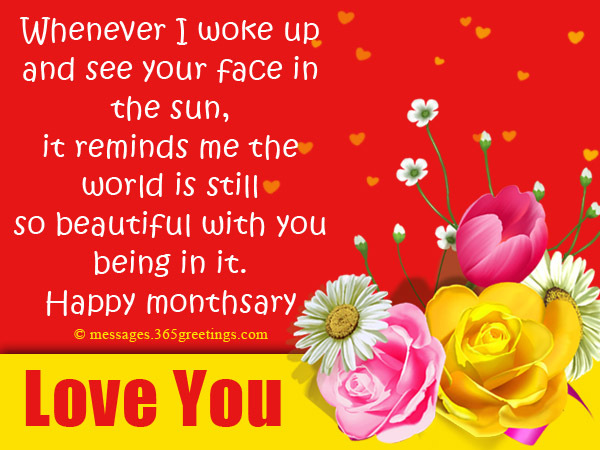 and witness countless monthsaries with you. as our love every day grows over and over. Each month is a bliss. so a very happy monthsary to us. you make me feel everything happy and bright. and nicest chapter of my life book. Happy monthsary to the one I love so dearly. and got touched by your smile. to turn it into a paradise. Happy monthsary baby. as long as you hold the other with me. all that I want to, laugh cry smile giggle and trouble with. As each day passes my love for you grows immensely! to bring out the most ugly in one another at times. I have come to know that I have found a very special treasure. I cherish every moment and day spent with you my love. 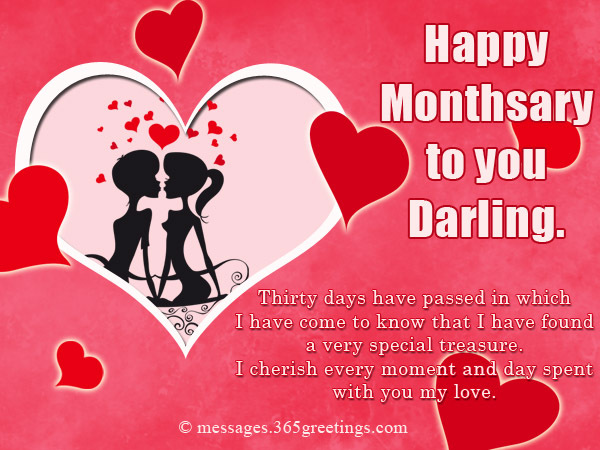 Happy Monthsary to you darling. and on this day we celebrate our love a new. so beautiful with you being in it. and bestowed love upon me. Thanks for being the pearl of my life. has been my love for you. Once again today I celebrate our day of love. 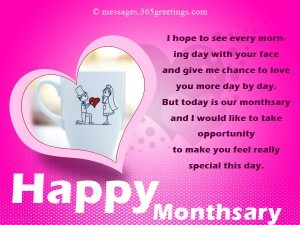 Happy monthsary. 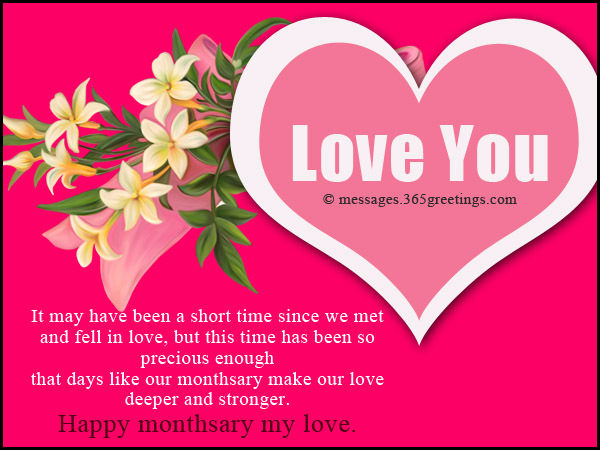 that days like our monthsary make our love deeper and stronger. and its been one more month of togetherness. I learned to smile whenever I’m sad. but in my future life. and I’ve been your addict. and I want to drown in the pool of your love. Chocolates are no near to comparison to your sweetness. I love you for being you and being with me for so long. when I was confused Happy monthsary to you my dear. but I will strive to make everything perfect for you. I love you and Happy Monthsary! 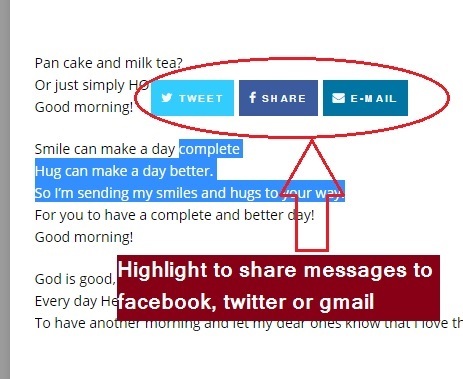 We really hope you liked all of these messages. 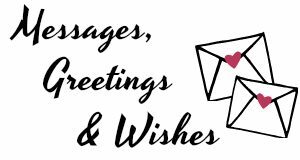 Take a look around on our website to find more interesting and romantic love messages and gift ideas for girlfriends. 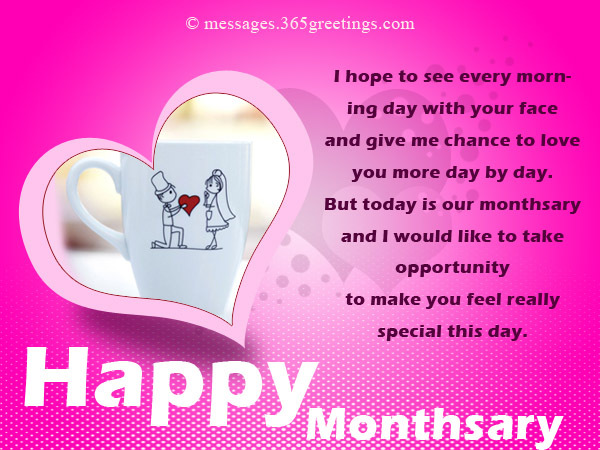 Feel free to share these messages with the one who is searching for a perfect monthsary messages for his girlfriend.